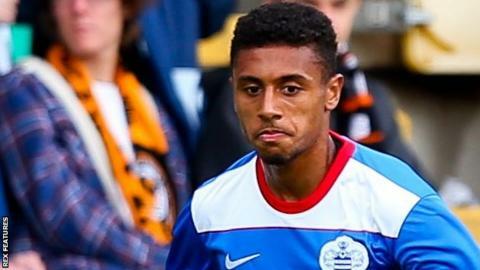 Carlisle United have signed midfielder Brandon Comley from from Queens Park Rangers on a one-month youth loan. Comley, 20, has played twice for the R's first-team and signed a two-year deal at Loftus Road in May, having been with the club since the age of nine. His full debut came as a substitute in last season's 5-1 Premier League defeat by Leicester City. "We like what we've seen from Brandon and we think we can work with him," Carlisle boss Keith Curle said. The Islington-born midfielder, who featured in a trial match for Carlisle against Barrow, will return to his parent club on 20 February.